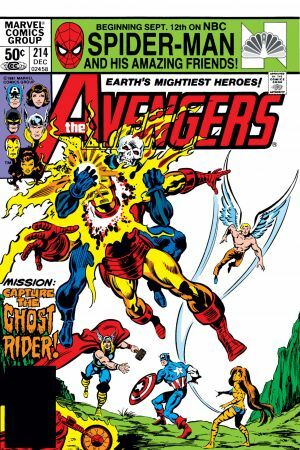 The Spirit of Vengeance rides roughshod over Spider-Man, the Thing and the rest of the Marvel Universe! 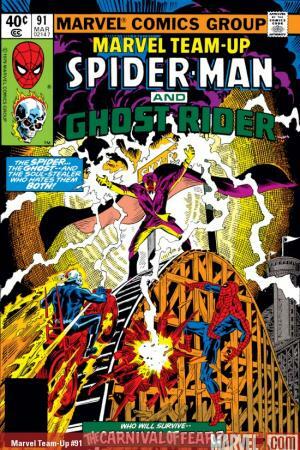 The Spider, the Ghost and the soul-stealer who hates them both - who will survive the Carnival of Fear? 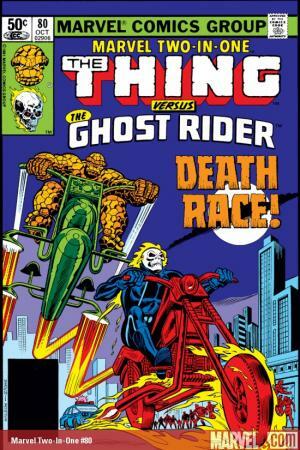 The Thing vs. the Ghost Rider in Death Race! 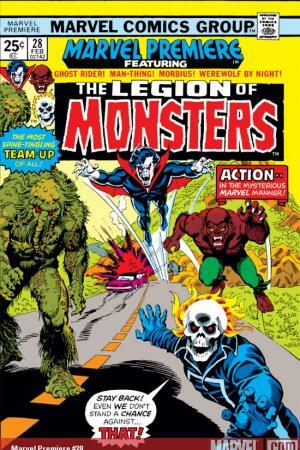 Ghost Rider, Man-Thing, Morbius and Werewolf by Night - the Legion of Monsters - join forces for the most spine-tingling team-up of all in the mysterious Marvel manner! 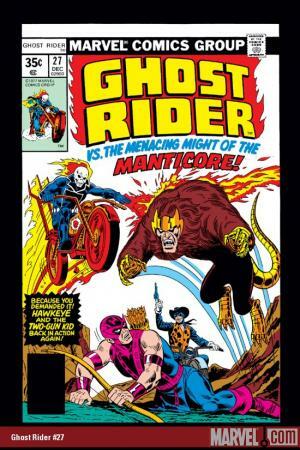 Hawkeye, the Two-Gun Kid and the Ghost Rider take on the menacing might of the Manticore! 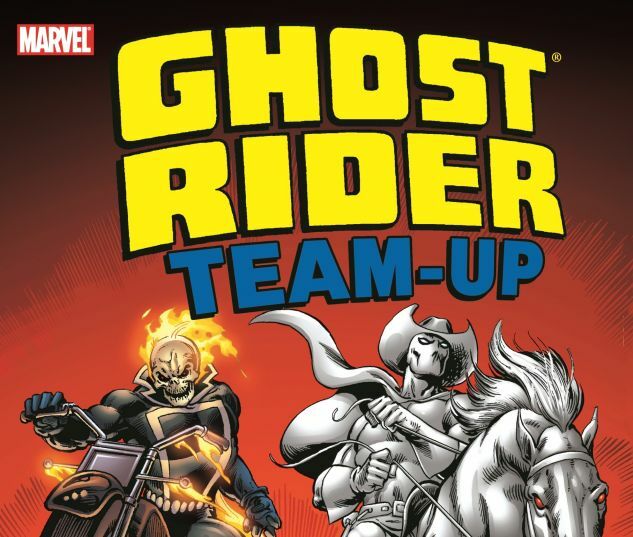 Earth's Mightiest Heroes, the Avengers, embark on their most dangerous mission yet: capture the Ghost Rider! 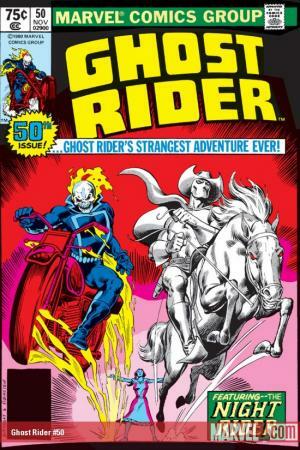 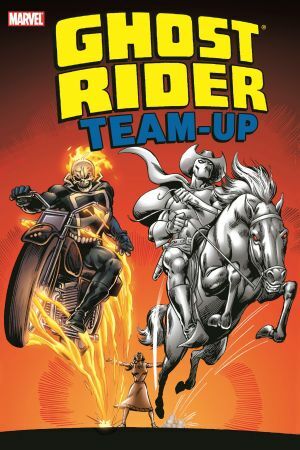 Plus: the Ghost Rider's strangest adventure ever - featuring the Night Rider, Marvel's first Ghost Rider! 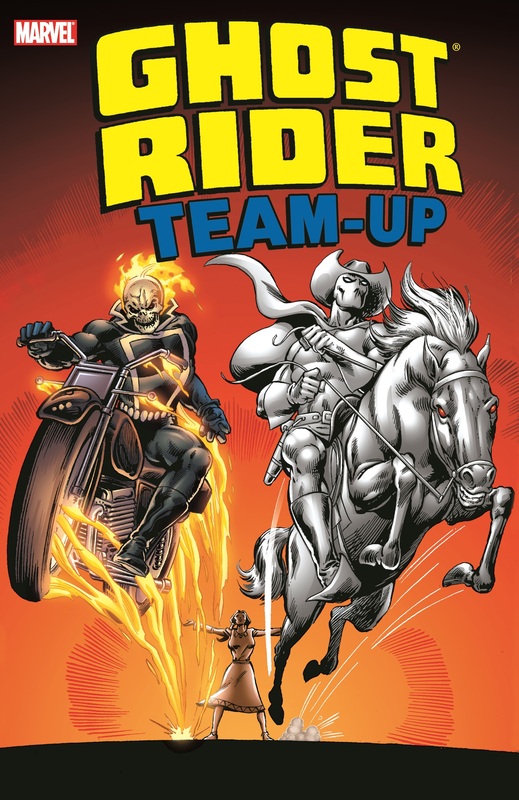 Collecting MARVEL TEAM-UP #91, MARVEL TWO-IN-ONE #80, MARVEL PREMIERE #28, AVENGERS #214, and GHOST RIDER #27 and #50.